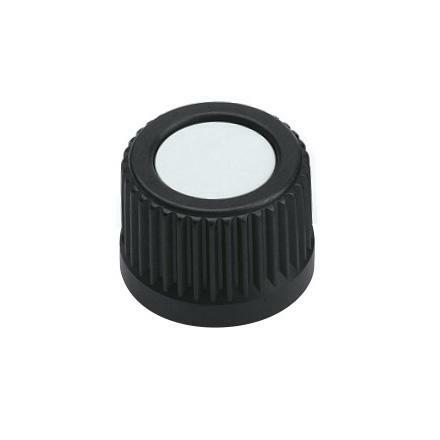 Through bore knurled control knobs are suitable for plain shafts. 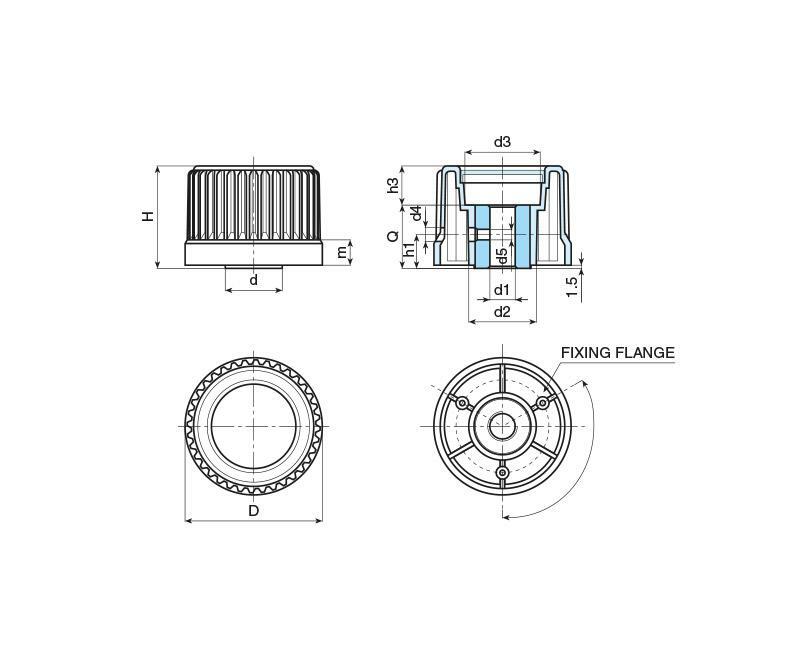 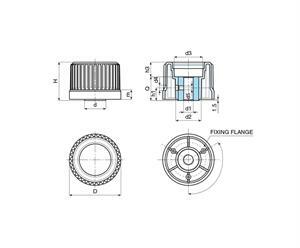 The knob can be fixed to the shaft by using the threaded or plain side hole. Available in two diameters the premium components feature a reinforced nylon body with moulded in plated steel insert.